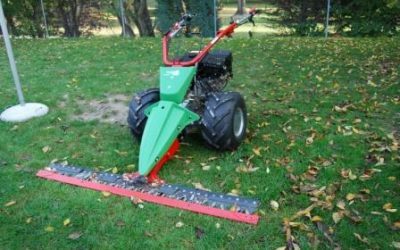 Cutter bars are a popular attachment for grass cutting where the grass is going to be used for forage feeds by means of round baling. 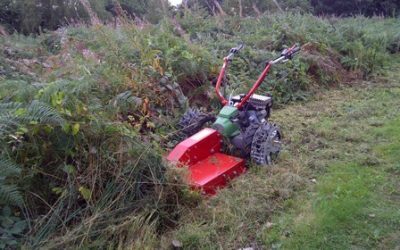 They can also used for cutting rough grass, brambles and material such as bracken or heather. 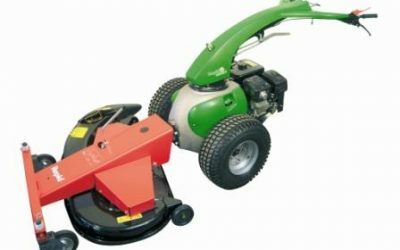 The finishing mower has a working width of 105cm with two robust, low noise belt driven blades. The height adjustment is made via the wheels. The cutting height is adjustable from 40mm to 75mm. A mulching insert is available as an option. 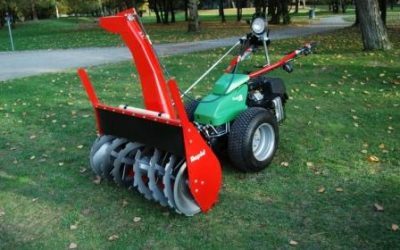 Closed hood flail mowers featuring large diameter rotors with swinging back to back type flails are our most popular. These all feature an adjustable roller to maintain an even cutting height, multi V belt drive and a safety overrun clutch. 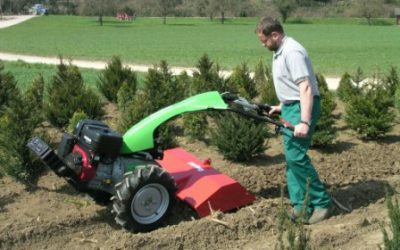 Eco mulchers for Rapid tractors are available in either single or twin bladed versions with a working width of from 80cm up to 122cm. 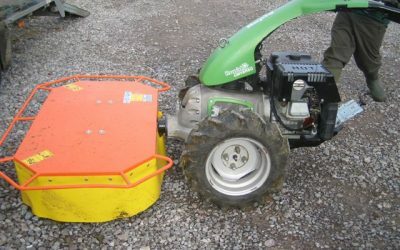 Two cylindrical mowing drums fitted with two blades per drum is ideal for grass mowing where the grass will be used for forage feeds. Drum mowers may also be used for rough grass cutting. 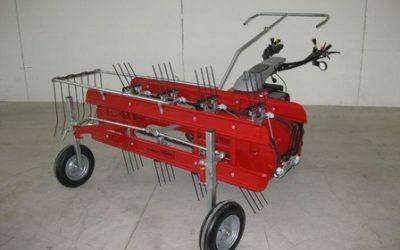 The hay rake is a side sweeping band rake used for the rowing up of grass material and leaving a swath suitable for the mini round baler. Producing a bale of 500cm x 500cm and a weight of around 20kg, the mini round baler is a compact version of the full sized agricultural machines. 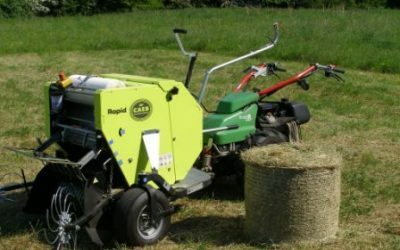 It is suitable for baling a wide range of material from hay and haylage through to bracken and heather. The bale wrapper is used to seal the round bale for producing haylage or silage. 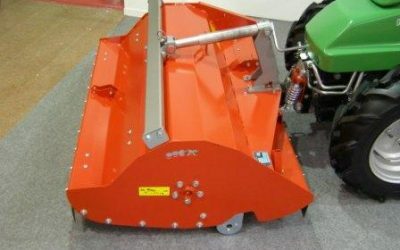 The rotavator suitable for Rapid tractors is available in two widths – 70cm to suit the Mondo or 90cm. It features an adjustable hood which can be opened to give full access to the reversible rotor. 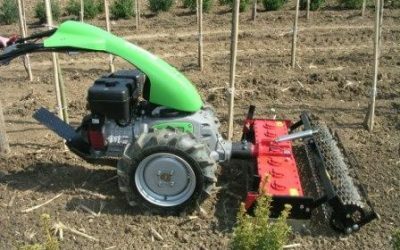 The power harrows suitable for Rapid tractors come complete with an adjustable net roller which is used to control the working depth. They are available in 75cm width for the Mondo and in 100cm width. 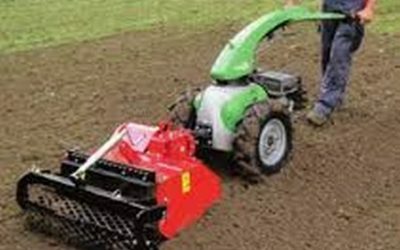 The stone burier suitable for Rapid tractors is available in 100cm working width. It comes complete with a net roller for depth control. 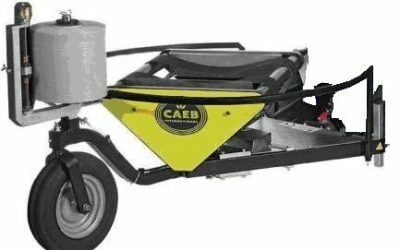 The snow blower is available in three versions, for soft, semi hard and hard packed snow. The working widths are 70cm, 80cm and 100cm. It has a fully adjustable delivery spout and replaceable wear plates. 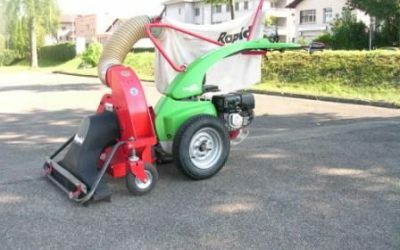 There are two versions of leaf vacuum suitable for Rapid tractors available with 70cm and 100cm working widths. They are suitable for both dry and wet leaves, which are collected in a large collection bag. 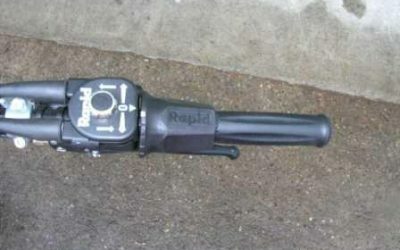 The Rapid twist grip control is a continuously variable forward and reverse transmission control without any need for clutch or gear shifting.